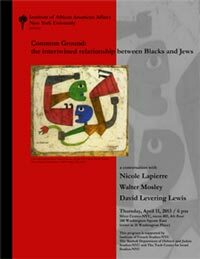 In her book, Causes Communes: des Juifs et des Noirs, Nicole Lapierre traces how, in the twentieth century, the intertwined relationship between Blacks and Jews emerged from ideals of freedom, equality and dignity. She reminds us how the Black experience was re-examined through the prism of Jewish experience, and vice versa The tensions that sometimes set these communities against each other involve all of society: they are primarily the result of social inequality and of the level of recognition that history grants to discriminated, oppressed or persecuted people, whoever they may be. This program will have the opportunity to recall these “common causes,” discuss and examine how these examples drawn from the past may serve as beacons for the present. 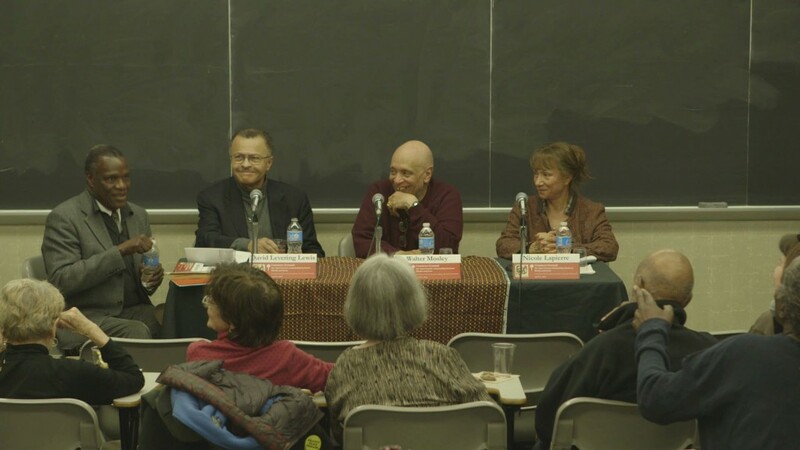 Nicole Lapierre is director of research at the French National Center for Scientific Research, and professor of socio-anthropology at École des Hautes Études en Sciences Sociales (EHESS). Walter Mosley is the author of more than 37 critically acclaimed books. In his most recent, Twelve Steps to Political Revelation, Mosley outlines a guide to recovery from oppression. David Levering Lewis is Julius Silver University Professor at New York University. Each volume of his two-volume W. E. B. Du Bois biography won the Pulitzer Prize. He is also the author of eight books.